Tip: Keep the flower tips on the scapes; it makes a fantastic presentation and tastes good too. 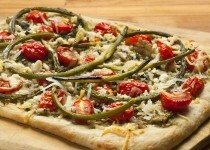 2) Spread olive oil and/or scape pesto over pizza crust. Sprinkle with feta cheese. Position garlic scapes on pizza, distributing evenly. 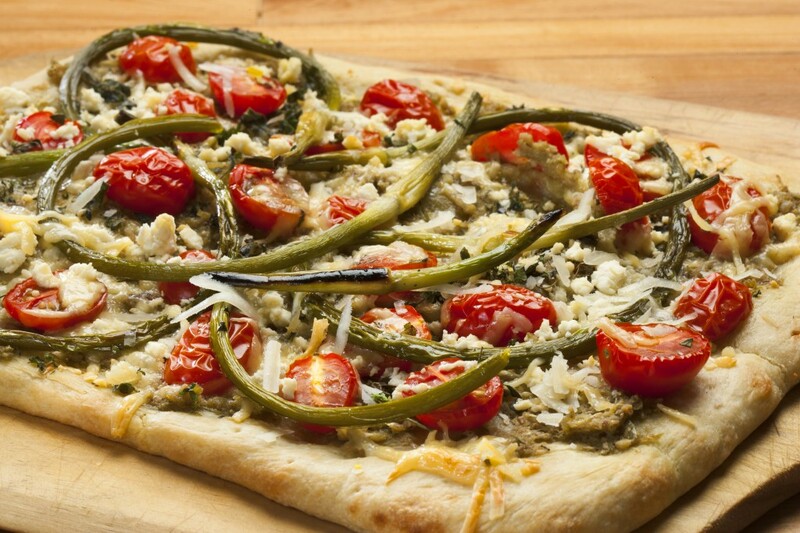 Place cherry tomatoes on pizza. Sprinkle with parmesan cheese. 3)Bake until pizza is browning, about 12-15 minutes. 4) Remove from oven, let stand 3-5 minutes before cutting.